The University at Buffalo men's basketball team will face Texas Tech in the second round of the NCAA Tournament on Sunday in Tulsa. UB, the sixth seed, beat 11th-seeded Arizona State on Friday, and Texas Tech, the No. 3 seed, downed No. 14 Northern Kentucky. Overhaul: Texas Tech made the Elite Eight last season, but lost six of its top eight scorers from that team. The program brought in two grad transfers in Matt Mooney and Tariq Owens and also got contributions from a junior college transfer (DeShawn Corprew) and a freshman (Kyler Edwards). Tech won 26 regular-season games. For the job he's done, coach Chris Beard is among four finalists for the Naismith Coach of the Year award. Stopping the streak: Kansas had won 14 consecutive Big 12 titles, but Texas Tech helped put a stop to that streak, sharing the league title with Kansas State. Texas Tech made 16 three-pointers and thrashed Kansas, 91-62, on Feb. 23. A share of the conference crown came after Tech as picked to finish seventh of the 11 teams in the conference. Early Big 12 exit. Despite being the No. 2 seed in the Big 12 tournament, Texas Tech was bounced in its first game by 10th-seeded West Virginia, 79-74. The loss snapped a nine-game winning streak. (UB opened the season with a win over the then-No. 14 Mountaineers, 99-94, in overtime.) Texas Tech had to sit on that loss until opening the NCAA Tournament. "We just wanted to focus on us," Moretti said. "Put that behind us, learned and burned. We just focused on us, details, how we got so far and how we made a run in the Big 12 and how we got to the March Madness tournament. So I felt like we focused on this all weekend. We did a great job on that." On the defensive: Texas Tech is No. 4 in the nation, allowing just 59.3 points per game. Northern Kentucky came into the tournament averaging 79.1 points per game and was held to 57. Northern Kentucky was ranked No. 24 in field goal shooting at 48.1 percent and was held by Texas Tech to 37.1 percent (23 of 62). 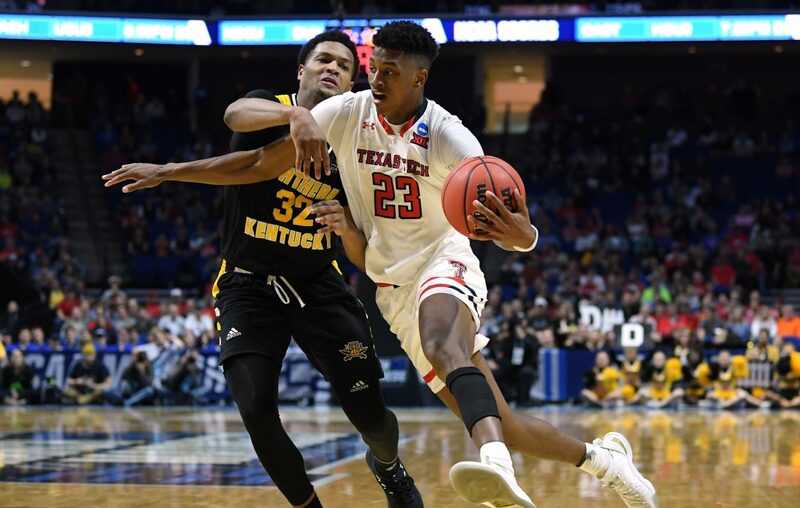 Hometown hero: Jarrett Culver, the Big 12 Player of the Year, is from Lubbock, Texas. He had 29 points, eight rebounds and seven assists against Northern Kentucky. His points total was a school record for an NCAA Tournament game. He has scored more than 20 points 11 times this season. He is averaging 28.7 points and 7.3 rebounds in the last three games, a sharp increase against the 18.8 points and 6.4 rebounds he averaged in the regular season.